Well, it’s that time of year again! A whole bunch of bloggers are stretching their fingers and getting ready to blog for the whole month of October! Are you participating this year? I am currently working on a special writing project in all my spare time (BAHAHAHAHAHA, I just can’t say that with a straight face… so.much.to.do.all.the.time.) and so I’ve gone back and forth about participating in 31 Days this go ’round. I have a soft spot for it though, since writing Soul Coffee last year launched me into publishing my first book– SQUEE. I am still not over the fact that MY BOOK is on the INTERWEBS for people to BUY which feels kinda LEGIT. So… special project notwithstanding, I thought spending some time with the figurative pen to paper (fingers to keyboard just doesn’t sound as cool), would help me stay in a writing groove this month and hopefully even clear some cobwebs I’m experiencing in my writing right now. I really have no clue what I want to write, but my sister (Hi Em!) 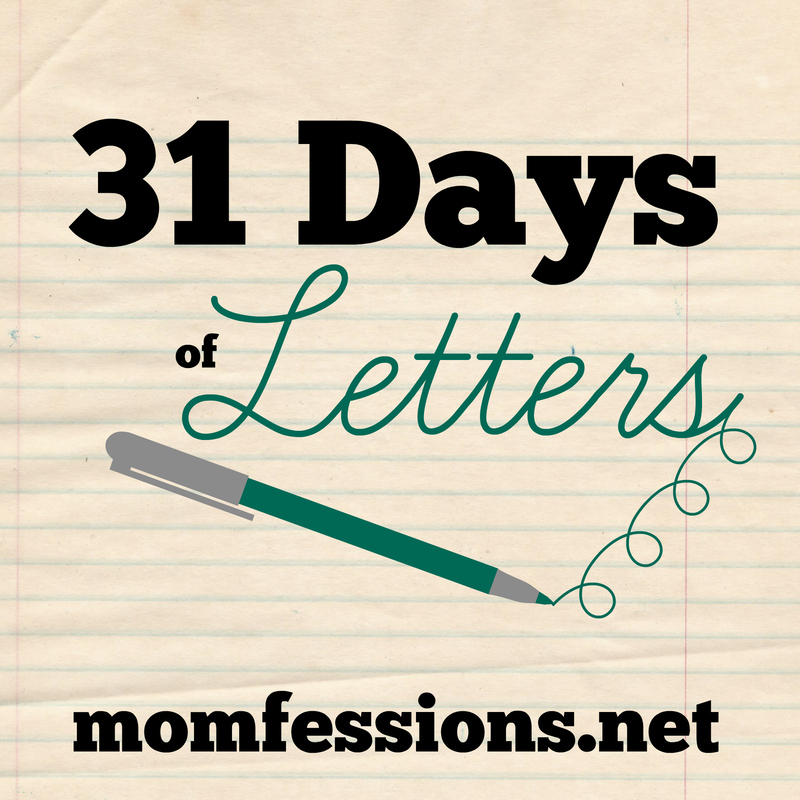 does this cute feature on her blog sometimes that she calls “Letters”, so I’m kinda borrowing her idea and spending the month writing letters. They may be sappy messages to my kids, or random thoughts to the lady behind me in the grocery store, or complaints to the trees in my city for not changing their colors. I’m gonna play it fast and loose, mmk? PS How did I miss you have a blog? And please tell me where it is!